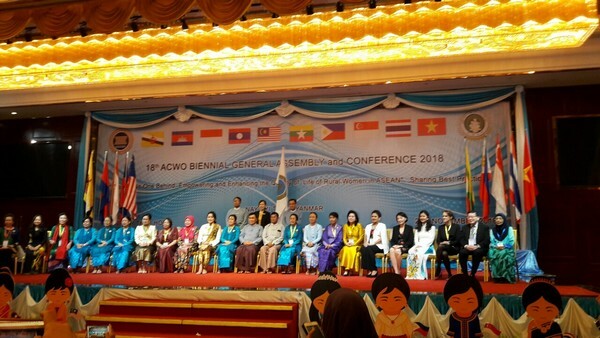 Before the ACWO General Assembly, the delegation attended the ACWO Board of Directors (BOD) Meeting with the participation of 9 member organizations (Cambodia was absent). The meeting has adopted many contents such as the minutes of the 17th ACWO General Assembly (November 1st, 2016, in Bangkok, Thailand), the second 18th ACWO BOD meeting (March 2018, in Manila, the Philippines), the report on ACWO activities from ACWO Permanent Secretariat, financial statement, 18th ACWO General Assembly and Conference Program, the amendments of ACWO Manual Procedure, ACWO website and the ECHO newsletter to name a few. 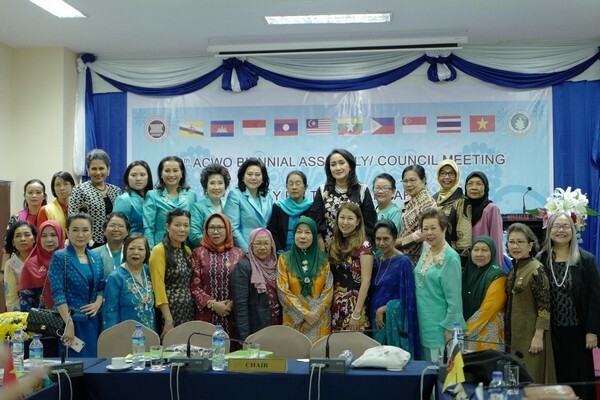 Under the theme “Leaving No one Behind: Empowering and Enhancing the Quality of Life of Rural Women in ASEAN: Sharing Best Practices”, the General Assembly and Conference were opportunities for member organizations to share good practice projects on supporting rural women. The VWU’s representative shared about the project “Towards more profitable and sustainable vegetable farming systems in north-western Vietnam” for ethnic minority women empowerment in Lao Cai province and the initial results of the program "Sharing and supporting women in border communes" launched by the VWU in early 2018. The Conference participants were split into 4 groups to discuss such topics as Economic Empowerment: Modern Agriculture, Women and technology, Rural Women and Entrepreneurship, Quality of Life: Health and Ageing, in order to make recommendations for the ACWO’s Action Plan. on this occasion, the MWAF as the host organization handed over ACWO Presidency to the Singapore Council of Women's Organizations (SCWO)for the 2018-2020 term. 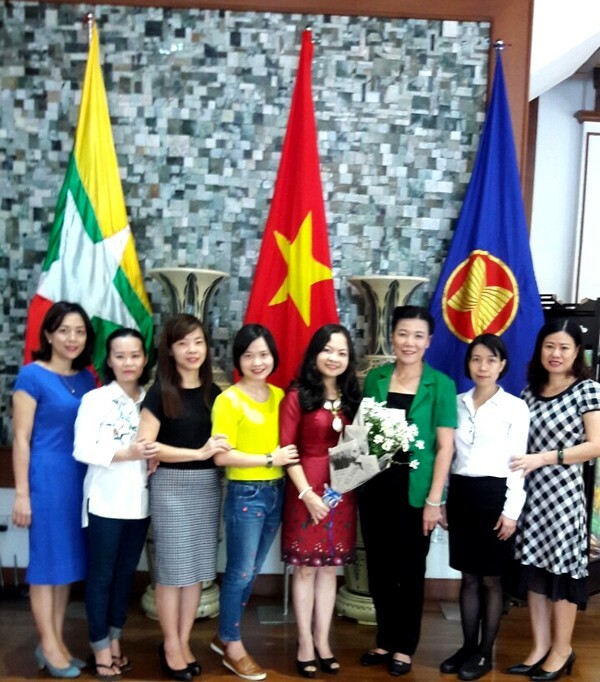 During its stay in Myanmar, VWU delegation visited and worked with the MWAF to get information about MWAF activities, especially on women protection law of Myanmar; worked with the Vietnamese Embassy in Myanmar to exchange information on the general situation of the Vietnamese community in Myanmar and other issues related to women.